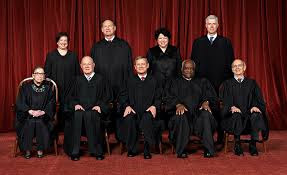 U.S. Supreme Court justices serve for life or voluntary retirement. The problem in our current times with the Supreme court is not the court itself but the corrupt process the Senate of the United States uses in the confirmation process. We have seen this in the last few years with the Republican dominated Senate which blocked a Democrat President from filling a Supreme Court seat for over a year, and now rushing and unqualified candidate before they lose their majority in the 2018 mid-term elections. The Republican Senators should be voted out of office because of their failure to perform their constitutional duties in good faith.